Perhaps you are one of many women getting ready for uterine fibroids surgery and you want to know if herbal remedies for uterine fibroids are effective or not. These herbal remedies have antianemic and antihemoragic effect with direct action on the tumor. There are women who have used natural treatment for uterine fibroids and were pleased to see at their pelvic exam that fibroids have decreased in size or even dropped completely. They were disappointed when it started to grow back again after the treatment. This risk exists both in case of surgery or after a natural treatment. So don't stop the "natural" lifestyle once the treatment is over. In both cases keep a healthy diet and constantly monitor the problem. Another important thing to keep in mind is that herbal remedies for uterine fibroids require a longer period of time, generally between 3 and 6 months. If you want to get pregnant as soon as possible, and there's no time to wait for the results of a natural treatment, the fastest solution is surgery or uterine fibroid embolization (UFE). However, the effect of uterine fibroid embolization on fertility is not fully understood, so you should be careful. Although it's hard to say what causes uterine fibroids, the answer is usually a hormonal imbalance, caused largely by stress. In other words, keep a healthy diet, exercise and find ways to relieve some stress. Herb Robert and Lemon Balm are excellent for increasing resistance to stress and for calming the nerves. Fibroid tumors, also known as myomas, are benign tumors that arise from the muscular wall of the uterus. It is extremely rare for them to turn cancerous. Symptoms of uterine fibroids are generally quite discreet and you find out about them in a routine check. Commonly, they cause heavy menstrual bleeding, pain in the pelvic region, and pressure on the bladder or bowel. The biggest problem with fibroid is that you can not get pregnant or, if you are, they can cause a miscarriage. A complex natural treatment include sitz baths, suppositories, compresses, tinctures, herbal powder taken sublingually and a diet prescribed by a specialist. 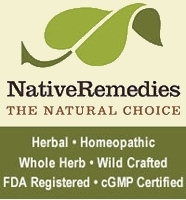 * A combination of tinctures that has proven effective is Raspberry, Black Currant and White Alder. * Comfrey root tincture has also good references. Drink 50 ml Comfrey tincture, 2 times daily before meals, for 3-4 months. Preparation: Cut the Comfrey root in small pieces and put it in a bottle up to half. Fill the other half with alcohol (vodka or brandy). Let it macerate for 3 weeks, then strain. Comfrey is a pretty "picky" herb. It can be toxic if you don't use the proper amounts! * Another herb praised for women problems is Lady's mantle (Alchemila vulgaris). Lady's mantle tea is very effective and should not miss from your herbal remedies cabinet. Plus, it does not taste bad at all. You can also take Lady's mantle tincture. * If you have a problem with alcohol you can use the non-alcoholic version of the remedies above, which is glycerin gemoderivate extracts. Theoretically, the producers say they have the same efficiency. 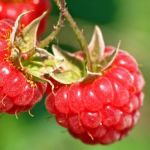 An alternative to Raspberry, Black Currant and White Alder tinctures is gemoderivate extracts: Raspberry shoots extract in combination with Black Currant extract or Raspberry shoots extract in combination with White Alder extract. These remedies are very good for menstrual pains. White alder extract (Alnus rhombifolia) in the evening. Follow this treatment for 3 months, do a pelvic exam, then take 1 month break. You can also drink Herb Robert combined infusion, but it needs a little more preparation time. Make an infusion from 7 tablespoons of this mixture in 2 liters / 68 oz boiling water. Let it steep for 15 minutes, then strain. Drink the tea throughout the day. Follow the treatment until you finish the entire herb mixture. * One of my favorite remedies and also one of the most effective natural remedies for fibroids is Propolis tincture. Pour 20 drops on a piece of bread and eat once a day. 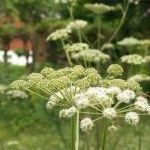 There are many herbal remedies for uterine fibroids, but the treatment you choose needs to be recommended by a specialist, after you have made all necessary investigations. This is an important health problem that requires long-term treatment and errors in treatment may lead to greater hormonal imbalances than the existing ones. Don't follow a specific treatment just because you have heard that someone used it. Each case is unique and requires specific treatment.